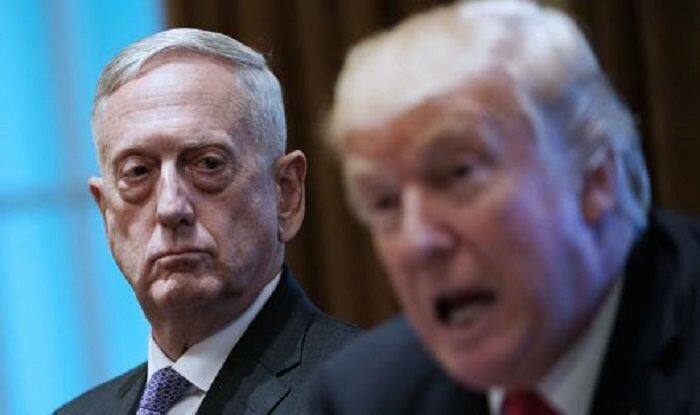 After Mattis sent his resignation, Trump announced that Mattis will be “retiring” on February 28, 2019. Washington: US Defence Secretary Jim Mattis has resigned, said reports. The news came a day after President Donald Trump ordered the pulling out of American troops from war-torn Syria. After Mattis sent his resignation on Thursday, Trump announced that Mattis will be “retiring” on February 28, 2019. The resignation letter reportedly said, “Because you have the right to have a Secretary of Defense whose views are better aligned with yours on these and other subjects, I believe it is right for me to step down from my position.” The 68-year-old Pentagon chief did not mention if he resigned over the troop withdrawal decision. Analysts say the withdrawal of troops will please US enemies by clearing the way for Syria’s Assad regime, Russia and Iran. Mattis had warned that removing ground forces from the Middle Eastern country would be a “strategic blunder”. “General Jim Mattis will be retiring, with distinction, at the end of February, after having served my administration as secretary of defense for the past two years,” the president tweeted on Friday. “During Jim’s tenure, tremendous progress has been made, especially with respect to the purchase of new fighting…,” he said. Mattis and Trump reportedly have had differences on several foreign policy issues, including Syria and Afghanistan. On Thursday, Trump praised Mattis for his service and for being a “great help” to him in getting allies and other countries “to pay their share of military obligations”. Trump added that a new secretary of defence will be named shortly. A day before, Trump had claimed in a tweet that the US has “defeated” the Islamic State terrorist group in Syria. The White House afterwards insisted that the main objective of American forces in the war-torn country was to destroy the ISIS and not to resolve the civil war. But analysts and US lawmakers were far from convinced about the abrupt decision, which was also a reversal of the stated US policy. It has attracted criticism from leaders of Trump’s own Republican party, who argued that the hasty decision would endanger American national security in the long run. Also, Mattis said in his resignation letter that he believes the US must be resolute in its approach to countries whose strategic interests are increasingly in tension with America’s.